This week the SigEp Patriots Project (SPP) honors, remembers and celebrates the lives and commitment of 20 SigEp Patriots, including two Congressmen, a WWI fighter ace, Vietnam War prisoner of war, and a brother who made the ultimate sacrifice during WWII. On this date, World War I Veteran & Ace Fighter Pilot, New York Beta Brother Major James Meissner, U.S. Army Air Corps had his fifth air victory. Brother Meissner was flying his SPAD XIII, and a member of the 147th Aero Squadron during the engagement over Fère-en-Tardenois, France, northeast of Paris. While Europe was embroiled in war, in America, the call to arms had not been issued yet. Even so, Virginia Alpha Brother Allan Brockenbrough stepped forward, and the University of Richmond Class of ’39 graduate joined the Army on this date. Seventy-three years ago today, California Beta Brother Richard A. Halpern was commissioned an Ensign, U.S. Navy Reserve. Samuel D. Mock, Pennsylvania Iota Brother and Muhlenberg College member of the Class of ’31, joined the U.S. Navy on this date. 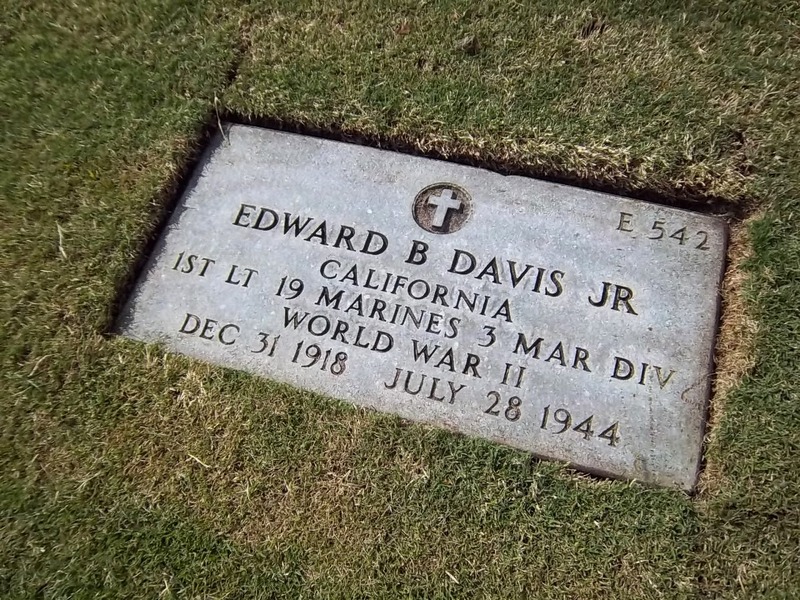 On this date, World War II Veteran and California Alpha Brother First Lieutenant Edward B. Davis, Jr., U.S. Marine Corps Reserve made the ultimate sacrifice for our country when he was killed while engaging the enemy on Guam, Marianas Islands. For his courageous actions on this date, Brother Davis was posthumously awarded the Silver Star. Respect can be paid to Brother Davis at Section E, Plot 542, National Memorial Cemetery of the Pacific, Honolulu, HI. On this date, World War II Veteran of the North Africa Campaigns and Texas Alpha Brother Captain Wendell E. Little, U.S. Army began serving as Chief, G-4 Plans Sub-Section, Headquarters 6th Army Group in Corsica, France & Germany. World War II Veteran and North Carolina Epsilon Brother William R. Satterfield, Sr., 52, died on this date in Ronceverte, West Virginia of a massive coronary. The Class of ’33 graduate from Davidson College served for four-and-a-half years during WWII. World War II Veteran, U.S. Congressman (Delaware) and Delaware Alpha Brother Major Herbert B. Warburton, U.S. Army died on this date. Upon his graduation, Brother Warburton was commissioned a second lieutenant through the Recruit Officer Training Command (ROTC) program, and it appears he graduated from the Dickinson School of Law before commencing active duty as a first lieutenant assigned to the 122nd Antiaircraft Battalion. Upon his release from active duty in 1945, Brother Warburton began practicing law in Wilmington, DE. Herbert served as city solicitor from 1949 to 1952 before being elected to the Eighty-Third Congress (1953-55). Continuing his service to the American public, Brother Warburton was appointed special assistant to the Secretary of Labor, James P. Mitchell; as general counsel, Post Office Department, and finally as minority counsel to the House Government Operations subcommittee before leaving the service of the government in 1964. On this date, World War II Veteran, U.S. Congressman (Virginia) and Virginia Kappa Brother Major William P. Jennings, U.S. Army died in Marion, Virginia following an accident in which a tractor he was driving overturned and crushed him. Brother Jennings entered the U.S. Army in JUL 1941, serving in the U.S. for two years before shipping out to Europe for two and a half years. Following his WWII service, William was assigned as an instructor in ROTC at the University of Illinois when he was discharged from the Army in MAY 1946. He was Smyth County Sheriff from 1948-54 before being elected as the representative of Virginia’s 9th District in the Eighty-Fourth Congress, and the five succeeding Congresses. He served in Congress from 1955-1967. Brother Jennings was elected Clerk of the U.S. House of Representatives for the Ninetieth Congress, and reelected to the four succeeding Congresses, and served from JAN 1967, until his resignation in NOV 1975, to become president of Slurry Transport Association. His memberships included Veterans of Foreign Wars, American Legion, Freemasons, Shriners, and Kiwanis. Washington Alpha Brother Lieutenant Colonel Gilbert J. John, U.S. Army (Retired), 64, died 19 years ago today in Spokane, Washington. Brother John served in the Army from 1953 to 1974, and upon his retirement became a high school counselor from 1975 through 1990. Respect can be paid to Brother John at Pines Cemetery in Spokane. 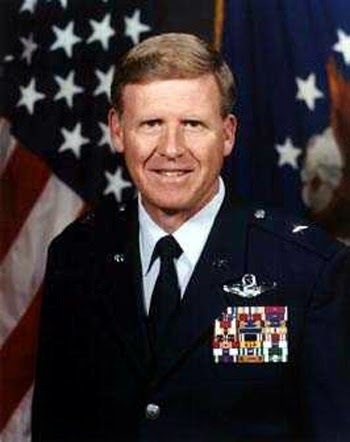 Vietnam War Veteran & Prisoner of War, Commander of the USAF Thunderbirds, SigEp Citation Recipient (1995), and Kansas Beta Brother Brigadier General James D. Latham, U.S. Air Force retired on this date after more than 28 years of patriotic service. His final assignment was as assistant deputy under-secretary of the Air Force for international affairs at the Pentagon. After his retirement, Jim went to work for Lockheed-Martin in Fort Worth, TX. Alabama Beta Brother First Lieutenant William “Bill” D. Yates, Jr., U.S. Army died on this date in his hometown of Lanett, Alabama. Bill was a member of the pledge class of Fall 1951, and graduated from the University of Alabama in 1955. In addition to SigEp, Brother Yates was in ROTC and received a commission upon graduation. Like so many of us, Bill returned home to Lanett following his discharge from the Army, and later owned and operated Yates Printing and Office Supplies until his retirement in 1997. On this date, U.S. Navy World War II Veteran of Tarawa, Marshall Islands, Saipan, Tinian and Iwo Jima, Virginia Epsilon Brother John H. Lawrence died peacefully at the age of 90. Following graduation, Brother Lawrence joined the Navy in AUG 1942, and served as the Gunnery Officer and later Executive Officer aboard USS LST-84 during amphibious invasions at some of the most intense battles of the Pacific. He was awarded a Navy Commendation Medal for taking charge of a shipboard fire-fighting detail to battle a gasoline fire between three gun batteries on the ship, and he received a Purple Heart Medal for a wound received during a kamikaze attack at the invasion of Saipan. He later served as the Executive Officer of the USS Agenor (ARL-3), a landing craft repair ship. Respect can be paid to Brother Lawrence at Collinsville Cemetery in Collinsville, CT.
Two SigEp Patriots were lost to us on this date three years ago. 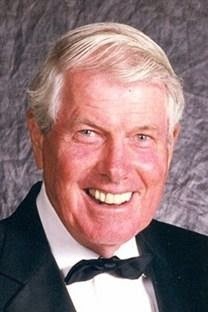 U.S. Army World War II Veteran and Michigan Alpha Brother George A. Roney, 89, died in Ventura, California. George was an undergraduate at the University of Michigan when he was drafted in to the Army in 1942. After his training, Brother Roney served in Europe, but it is unknown exactly where at this time. After the war, he completed his bachelor’s degree at Wayne State University in Detroit. George worked in Detroit with various companies, and his career culminated with 17 years in management for the U.S. Postal Service. He was active in the Knights of Columbus, and in his obituary he listed himself as a life member of Sigma Phi Epsilon. Respect can be paid to Brother Roney at Holy Sepulchre Cemetery in Southfield, MI. U.S. Army World War II Veteran, National Guardsman (Idaho) and Utah Alpha Brother Worth B. McNeel, died in Pocatello, Idaho. He was 90 years old. Worth had nearly completed his third semester at (then) Utah State College when the Japanese attacked Pearl Harbor in DEC 1941. With that, he joined the College’s Enlisted Reserve Corps, and in APR 1943 joined the U.S. Army. Worth was trained in anti-aircraft artillery, and in JAN 1944 he arrived at Pearl Harbor. Worth later served in the Philippines, Okinawa and Korea, and was discharged in 1946. In later years, he was a member of the Idaho National Guard in Blackfoot, ID. Following his WWII discharge, Worth returned to Utah State, joined Sigma Phi Epsilon, and graduated with his bachelor’s degree in general agriculture in 1947. One of Brother McNeel’s first jobs after graduation was as a Veteran’s Vocational Agriculture Instructor, and he also drove a bus to make ends meet and support his family. In 1952, he got a job with the Idaho Department of Agriculture as a dairy inspector where he served for 34 years. The family has asked that you make memorial donations to the city of Blackfoot for the American Flag Fund. Respect can be paid to Brother McNeel at Grove City Cemetery in Blackfoot. Korean War Veteran and Pennsylvania Delta Brother Commander Robert T. Mullen, U.S. Navy (Retired), 83, died on this date in Melbourne, Florida. He served four years active duty during the Korean War, and continued for an additional 18 years in the Navy Reserve prior to retiring. Brother Mullen received his bachelor's degree in Accounting from The University of Pennsylvania, Wharton School in 1950. While attending the university, Robert was an Ivy League and IC4A track champion. He was most notably a member of the last UPenn team to win the 4 x 800 relay and Distance Medley at the prestigious Penn Relays. Robert was the Owner and President of Mullen Brothers Jewelers in Swansea, MA and was a third generation jeweler. Active in his community, he was past president and member of the Fall River Kiwanis Club and the Center City Business Association, a board member of the Boys & Girls Club of Fall River for over 30 years, and also a Mason with the King Philip Lodge in Fall River for 50 years. Contributions in his honor may be made to the American Cancer Society, 30 Speen Street, Framingham, MA 01701 or The Autism Project 1516 Atwood Avenue, Johnston, RI 02919. * This week we learned of the passing of Tennessee Beta Brother First Lieutenant Walter Hill, U.S. Army Reserve on 21 JUL. Our thoughts and prayers go out to the family, friends and chapter brothers of SigEp Patriot Hill. While he is gone, SPP pledges that he will always be remembered. ** Love is in the air! Connecticut Alpha Brother Second Lieutenant Michael C. Alvarez, U.S. Army National Guard (Connecticut) got married late last week, and yesterday, Operation Enduring Freedom Veteran and Kentucky Zeta Brother Second Lieutenant Anthony Palmer, U.S. Army got married. Congratulations to both of you and your brides. ** The Army’s newest Second Lieutenant was commissioned 01 AUG when the bronze bars were pinned on Missouri Eta Brother Trek Blackwell. Trek’s branch is Transportation, and he will be heading to Fort Lee soon for TBOLC before reporting to Ft Riley. Best of luck in the next chapter of your military career. ** It may not sound like much, but being a Safety Observer aboard a U.S. aircraft carrier puts you smack dab in the middle of four acres of one of the most dangerous places to work in the world, and starting yesterday that’s what California Sigma Brother Aviation Boatswains Mate Second Class Mark Dalmacio, U.S. Navy does every day aboard the USS George H.W. Bush (CVN-77). Stay safe, Brother! Have news you would like to share? Just send an email to sigepswhoserve@gmail.com.